Though he lived well into the 20th century, he was born when Chopin was still alive and only eighteen years after Beethoven's death. 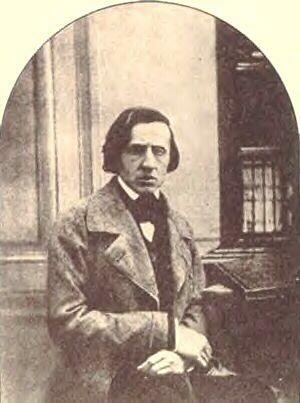 Most of the Romantic era's composers were his contemporaries, he came to know many of them and outlived most of them. His lifetime encompassed the developments of Wagner, Debussy, Schoenberg and even Stravinsky, who lived into the seventh decade of our own century. A master of his craft and innovative in his work, his now classic Requiem was performed at the memorial service for singer Bing Crosby at New York's St. Bartholomew's Church (where the young Leopold Stokowski had been the organist). His music, now a staple of his country's literature, ultimately and perhaps even inevitably made him famous and respected by the musical world - and he was quite deaf toward the end of his life. Beethoven, whose deafness manifested itself relatively early, had lamented why he himself should be ". . . lacking in the sense in which I should be more perfect than others." It takes little effort to imagine the same thought in the mind of composer Gabriel Fauré. It's been said prophets aren't appreciated in their own countries. It wasn't until the end of his life that Fauré, like César Franck, began to receive the real recognition he deserved. He was appointed professor of composition at the Conservatoire de Paris only in 1896. Among his many students there, some of whom later wrote biographical monographs about him, were Charles Koechlin, Georges Enesco, Maurice Ravel, and the great educator Nadia Boulanger (who ultimately taught Aaron Copland). Born in Pamiers, France in 1845, the focus of Fauré's early training was church music and the organ, complemented and enriched by earnest literary studies. He soon entered the Niedermeyer School of Religious Music in Paris, where during his training Charles Camille Saint-Saëns became professor of piano, eventually teaching composition as well. Diverting from the syllabus, Saint-Saëns also exposed his students to contemporary music, including the works of Schumann, Liszt and Wagner, who, particularly, influenced so many later composers, though not Fauré. When he finished his studies, Fauré had won first prizes in composition, fugue and counterpoint. 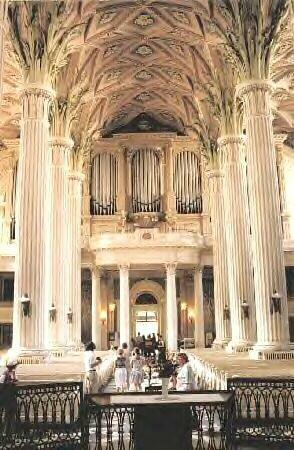 He then began a long career as a church organist and choirmaster. As Aaron Copland, during his own studies in Paris, later met important French composers (including Saint-Saëns), Fauré regularly visited Saint-Saëns' salon, where he got to know those in the Parisian musical establishment; Lalo, d'Indy, Duparc and Chabrier were among those who became his friends. He also met Charles Gounod, Gustave Flaubert, George Sand (an intimate of Chopin), and Tchaikovsky's friend Anton Rubinstein. Fauré composed some early large-scale works (two symphonies, a violin concerto in two movements), but being as self-critical as he was he soon disowned those pieces. His personal nature leaned him toward the smaller, more intimate musical forms and ensembles (songs, chamber works, piano music) rather than large orchestral forces. This prompts some to see him as a miniaturist, and the paucity of orchestral works in his output is viewed by some as a weakness - but poets aren't criticized because they don't write screenplays. Despite the success and popularity even now of his Requiem (which took over twenty years to reach its ultimate form from first sketches to final orchestration), in the general view his wider reputation suffered to some extent by the relatively few large-scale works. Since Chopin himself chose instrumental forces even more limited than Fauré's - with a few exceptions he composed only for the piano - one might question the logic of such a view. Certain efforts make an exceptional impression. Around 1865 Fauré composed a work which for a young man of 20 was of remarkable quality, originality and intensity. Written for voice and piano, Aprés un Rêve (After a Dream) has become one of his most popular and distinctive pieces in this genre. Dedicated to Mme. Marguerite Baugnies -- a married woman -- its eloquence and sensitivity gives it an unusual and perhaps revealing specialty among Fauré's works. The music itself evokes an emotional appeal that's rare in the art song literature, of any nation. 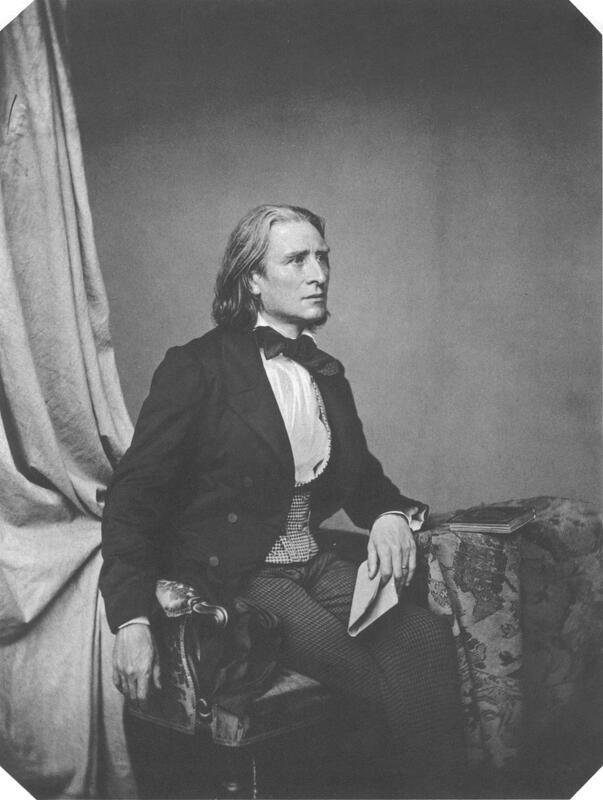 On a journey to Weimar, Germany in 1877 he met the great Franz Liszt. Fauré showed him his Ballade, Op.19, which Liszt said he found too difficult to play. One might read between the lines here. There wasn't anything that Liszt could not play, even prima vista, and musicians who saw him perform such feats of pure musicianship would leave his residence talking not to each other but to themselves. Liszt was too worldly, sophisticated and subtle a man to actually say that he may not have liked Fauré's piece. The disappointment may have been tempered to some extent when in 1886 Fauré met Tchaikovsky who, conversantly fluent in French and German as well as Russian, declared Fauré's First Piano Quartet as "excellent." In 1883 Fauré married Marie Fremiet. Their two sons lived into the second half of the 20th century. Like César Franck before him, Fauré had to spend much of his time in tedious, mercenary activities to support his family. According to Grove's Dictionary of Music & Musicians, ". . . Although he always retained a great affection for his wife, her withdrawn, bitter and difficult character, coupled with Fauré's keen sensuality and desire to please, explain his infidelities." Fauré ultimately had significant liaisons with other (considerably younger) women, each of whom played an important role in his life. Among them were Winnaretta Singer (of Singer Sewing Machines), who commissioned works from him and offered practical assistance, and Emma Bardac, who inspired a song cycle and later became Mrs. Claude Debussy. Adela Maddison, the beautiful brunette Irish wife of an English attorney who directed a small publishing entity, played the piano and even composed. Her relationship with Fauré initially involved the publication and promotion of Fauré's music in England, to which end she translated some of his songs into English. Eventually she developed a passion for the admiration and advocacy of his music, and perhaps inevitably, for him as well: leaving her husband and two children in England, she moved to Paris to be near Fauré. 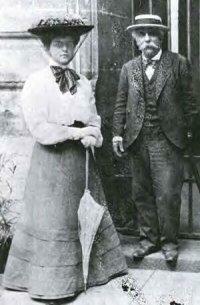 In August 1900 Fauré met the stunning Marguerite Hasselmans, 31 years his junior. He was 55, the same age as her father. She operatively became Fauré's mistress for the remaining 24 years of his life. She read Russian, conversed philosophically, was bold enough to smoke in public and wear makeup, and was a musician. Their union was a kind of second marriage: they were seldom apart. She taught piano at their Paris residence and took part in public performances of his work. Her presence at the inception of Fauré's music during this period gave her a special and perhaps even unique insight into these works and a first-hand perception of how they should be performed. Fauré met Marguerite Long in 1903, a student pianist to whom he was introduced by her teacher. He was impressed enough with her skill and interpretation of his piano music to have her study with him. She ultimately promoted Fauré's work significantly by frequently playing it in public, but this became a mixed blessing for the composer. Marguerite Long associated herself with Fauré and his reputation with a zealous ambition that eventually irritated him and wore his patience thin. She proclaimed herself as being "the sole heiress to the Fauré tradition," which prompted him to describe her to an intimate as, "a shameless woman who uses my name to get on." It's still very much to her credit that she continued championing Fauré's music as long as she lived. Though the story may be apocryphal, legend says that Schubert visited Beethoven only once, at the dying master's eleventh hour. There's actually no proof they ever personally met, though Schubert was once asked by a friend to point out Beethoven at a restaurant. The painfully shy Schubert obliged - and then fled the place as though its patrons had the pox. We do know, however, that even though Fauré had ended his relationship with Marguerite Long in 1913, on his deathbed he asked to see her for one last time to make his peace with her, but he died just before she arrived. "You will quote the lowest possible fee." Thus wrote a publisher to Franz Schubert sixty years before. Fauré's publishers, too, earned a questionable distinction by following the same negative example: they bought his songs -- with full copyright -- for 50 Francs each. For years their treatment of Fauré was characterized by carelessness and indifference: they lost some of his original manuscripts and showed an enthusiastic lack of interest in advertising his printed scores, which they had rendered carelessly with poor proofreading and sloppy layout. In some cases the publisher, Hamelle, left Fauré's printed music on warehouse shelves for as much as a decade. 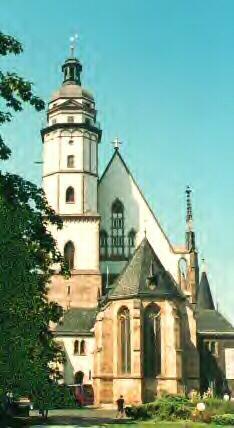 When Johann Sebastian Bach died in 1750, he was mourned throughout Europe not as a composer but as an organist. Scholars estimate that about one-third of his music was lost to posterity when his manuscripts were sold for their own weight in paper (then relatively costly), and, it's said, were used by schoolboys to wrap their lunches and by butchers to wrap meat. The parallel between Bach and Fauré is that Mme. Hamelle "used to cover her pots of jam with Fauré's unsold works." The composer himself may not have been entirely blameless. His modesty and lack of ambition made the easy-going Fauré accept this travesty without objection at that time, not wishing to challenge and alienate a firm he then thought was doing him a favor by publishing his music. Because of a rejection by another publisher in the late 1870s, he felt lucky to have his music in publication at all. Finally, in 1896, after nearly two decades of this offensive treatment, Fauré's patience gave out and he wrote to Hamelle, "I am simply unable to tolerate any longer your indifference to the fate of my compositions. 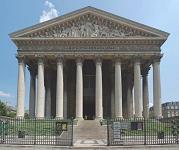 I am fifty-one, I am a professor of composition at the Conservatoire, organist of the Church of the Madeleine; but you treat me as though I were some student just out of school. All this time my colleagues (some of them a good deal younger than me, some mere beginners) are played far and wide, and their music is circulated far and wide too, because their publishers take trouble over them. If I were to make a list of all my disappointments on this front I'd never get to the end. I've had enough. I'm eaten up with impatience and useless regrets and I want an end of it." It wasn't until 1906, by which time recognition was coming his way, that Fauré had switched publishers. Fauré had an intimate involvement with Paris' artistic life, including important writers and other artists. 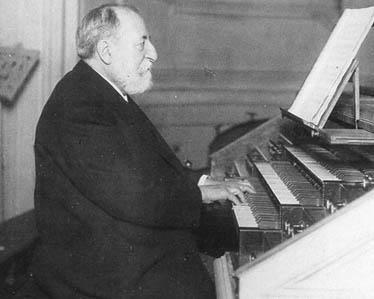 With Saint-Saëns, he founded the Société Nationale de Musique and was instrumental in developing the careers of César Franck, Edouard Lalo, Claude Debussy, Vincent d'Indy, and others. Until his fourth decade, in spite of his logistical difficulties Fauré's nature was that of a man easily satisfied, happy with his friends and colleagues, lacking the taint of ruthless ambition and egotistical self-promotion characteristic of so many, and without the pretension and hollow self-importance that marks lesser people. In the 1880s, however, he began to change. He started suffering an uncharacteristic depression that led to a certain severity in his temperament which was at odds with his usual good nature. One cause was the distraction of unnecessary and nuisance incidentals that prevented him from concentrating on his own work - circumstances with which most of us are all too familiar. Another was a resentment of the popularity in his era of the work of lesser composers (whose names we don't remember now). Yet another cause was a kind of despair because of performers who played ". . . always the same eight or ten pieces." Many composers have lived with a musical albatross: Beethoven his "Moonlight" Sonata, Rachmaninoff the Prelude in c-sharp minor, and Khachaturian his "Sabre Dance." Fauré, too, had his. As the 1880s were the low point in his life, the 1890s marked the upturn. In 1892 he became inspector of the national conservatories in the provinces. This necessitated tedious journeys throughout France but it relieved him of other burdens, including teaching. Four years later he succeeded Jules Massenet as professor of the composition class at the Conservatoire de Paris. There can be balance without symmetry, and for Fauré the appointment was a kind of retribution: the post had been denied him four years earlier because the director, Ambroise Thomas, felt Fauré's music was too revolutionary - notwithstanding Fauré's having won the Chartier Prize for chamber music in 1885 and yet again in 1893. Though his due recognition came only at middle age, he was not the stereotypical neglected composer. His finest peers were aware of him and his work and he was greatly respected by them. The kind of shameless (and quite transparent) self-promotion that's characteristic of so many, in all fields, was something of which Fauré was never guilty: he let his music speak for him, not he for his music. More his venue than the grand concert halls were the grand salons, in keeping with the kinds of ensembles for which he wrote. To equate quantity with quality is a feature of the human condition, but they're not synonymous. Only the shallow would believe a fine string quartet must be of lesser value than a fine symphony because of the ensemble size. Marcel Proust, who knew him, wrote to him that he was "intoxicated" by his music. Being only human, like all of us, Fauré sometimes questioned the true value of his own work, and seemed to need his colleagues' opinions and judgement about it, just as Anton Bruckner before him had submitted his own works to the scrutiny of some of his students (in his case, to the detriment of the earlier printed editions of his scores). Fauré seemed to need that private recognition and approval as an encouragement for him to continue. Composers are fallible like everyone else, and the ability to compose great music doesn't bestow omnipotence of personality or character. Unlike so many of his countrymen, he was not snobbish, and his friends admired his personality. 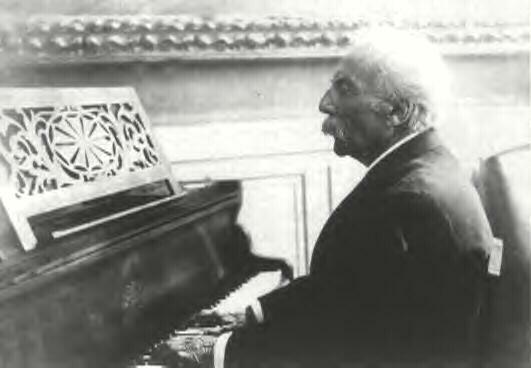 Though Fauré was not a virtuoso pianist in the usual sense, the dozen piano rolls he recorded between 1904 and 1913 attest to his skill as a performer of his own music. He was described by many as having a simple, charming but exceptionally handsome personal bearing, particularly later in life when his white hair contrasted with his dark complexion. Soft of voice, gentle in manner of speech, a distant look in his eyes - these are some of the personal characteristics that endeared him to others as a gentleman of genuine refinement. 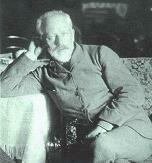 Like Brahms before him, he reached a kind of tranquility late in life. 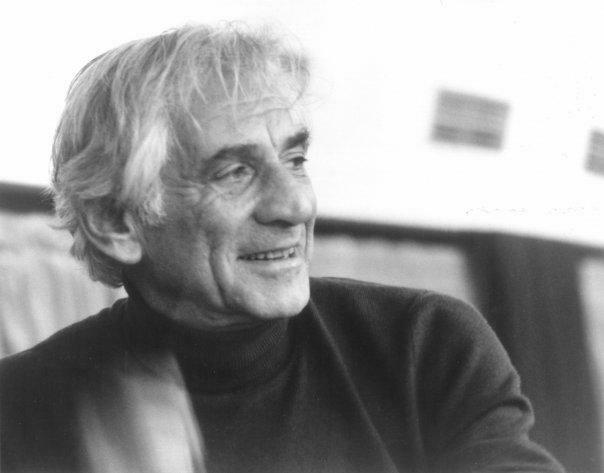 Even when fame and recognition ultimately came, he retained his simple habits and clear judgement, and remained available to others - an example later followed by Leonard Bernstein, to the benefit of posterity and our musical heritage. His long-overdue recognition soon brought him a new popularity and countless honors came his way. Commentaries on his work and reprints of his piano music began to appear. Performances and even festivals of his music were given throughout France and in cities from London to St. Petersburg, and his chamber music was performed by famous artists like Eugene Ysaÿe, Raoul Pugno, Georges Enesco, and Pablo Casals. Then, in 1905, the 60-year-old Fauré was honoured with the directorship of the Conservatoire de Paris. In his 15-year tenure as head of this venerable entity, he sought an ideal balance of past and present by endorsing the significant newer musical trends while retaining the traditions and fundamentals of musical history and its literature. In this, Fauré set the admirable example soon followed by New York's Juilliard School. His determination in implementing his important reforms earned him the nickname, "Robespierre" (but, significantly, only from his adversaries). His directorship also brought him further recognition as an important composer in the musical establishment, and even fame, something he never specifically sought for its own sake as a feature of his needs. In addition to his Conservatoire duties Fauré was music critic for Le Figaro from 1903 until 1921. His fundamental benevolence and tolerance made him an unlikely and even unnatural critic: he had an integrity that puts most other critics to shame by setting an example from which those who followed him could certainly have learned. He saw the positive features of a work, viewing and accepting it on its own merits, rather than follow the easy route traditionally taken by critics who view a piece tangentially and focus on what it is not. In keeping with the subtlety of his own music and personal character, he prefered silence rather than contention when he disliked a composition. To those on whom subtlety is lost, his criticisms lacked colour; to those with insight, they were interesting and even enlightening. As Brahms before him had edited the complete works of Handel, during this period Fauré revised the complete piano works of Schumann (one of his favorite composers), and the organ works of Bach (in collaboration with Joseph Bonnet). 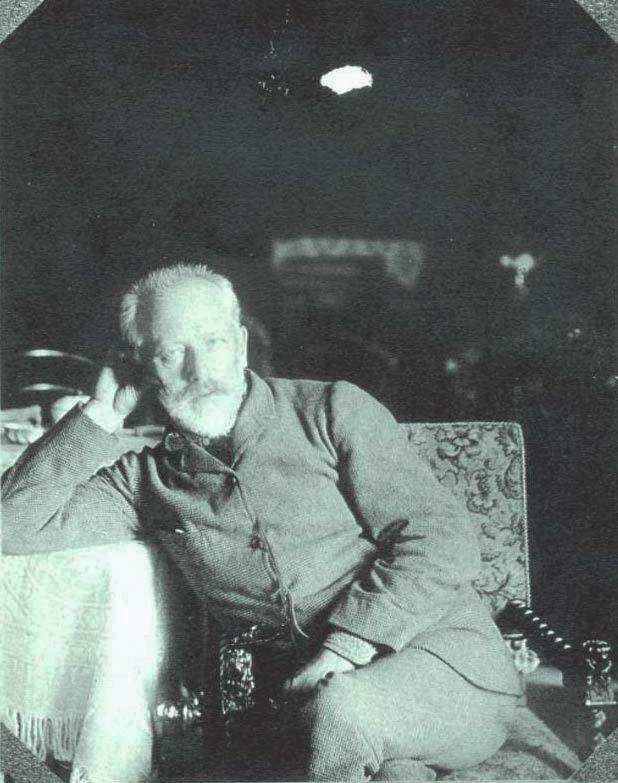 During much of his life the only feasible time he had to really devote himself to composition was during his summer holidays (usually in the calm atmosphere of Switzerland), which parallels the circumstances faced by Gustav Mahler even as director of the Vienna Opera, when he himself would flee at such times to an isolated Austrian location. Fauré gave charity concerts during the first World War. Anti-German sentiment permeated the musical and general public, and a ban was proposed on performances of German music. Fauré didn't subscribe to this reasoning, feeling that political friction didn't justify invalidating the artistic contributions even of a hostile nation. Some would call this naïvete. Others call it integrity. The word "paradox" has a particularly poignant - and heartrending - application to the latter part of Fauré's life. Characterized by a general decline in his health, with symptoms of sclerosis and, because he was a heavy smoker, breathing problems, it was a period that finally brought him his due recognition - as well as the worst fate that can befall a musician: deafness. That his belated fame was thus overshadowed is nothing short of ironic, and that between 1915 and 1924 he wrote some of his most profound works, in spite of his impairment, is nothing short of miraculous: he was almost totally deaf when he composed them. The first signs of the malady appeared around 1902 as a distortion of the sounds he heard. He himself described them variously as, ". . . a veritable cacophony," "imaginary clocks," and "sounds that split in two," explaining that "high sounds are heard a 3rd lower, low sounds a 3rd higher, while the middle range remains correct." In 1920, age 75, Fauré resigned his fourteen-year directorship of the Conservatoire. He was now free to live in creative leisure what remained of his life. His renown increased even in retirement. June 20, 1922 was designated a national "Homage to Fauré" and a special event was held at the Sorbonne, attended by the president of the Republic. Among the great musicians who performed Fauré's music on that occasion were singer Claire Croiza, pianist Alfred Cortot, and cellist Pablo Casals. By this time, Fauré's hearing had progressed to such a distortive state that he could hear only discordant noise at the performances. The frustration he must have experienced at public performances had extended even to his Conservatoire duties. Each year, as a member of the examining jury, he had to pretend to hear the music played by the auditioning students. He still took part in public recitals of his songs and chamber music. Soprano Claire Croiza (who had performed the title role in Fauré's opera Penelope) wrote of his playing during these years: "Fauré was a metronome incarnate. And more particularly so at the end of his life when he became deaf. Before that he was 'galant', he liked attractive women and used to make concessions. But at the end of his life, when he could no longer hear, he went his own way regardless, not noticing that the singer was sometimes two or three bars behind him. . . because she slowed down while he kept strict tempo." In September, 1924, age 79, Fauré finished his last work: the String Quartet, Op.121. On November 4, with his wife and two sons at his bedside in his Paris apartment, he passed away. The contradictions of fame among his peers and years-long obscurity among the masses followed him even after he died and manifested themselves embarrassingly for his countrymen, echoes of which are amply reflected in realities even today. His colleagues, requesting he be given the honor of a state funeral, were stunned when the Arts minister replied, "Fauré? Who's he?" The request was ultimately granted but history remembers this shameful episode from the French bureaucracy. 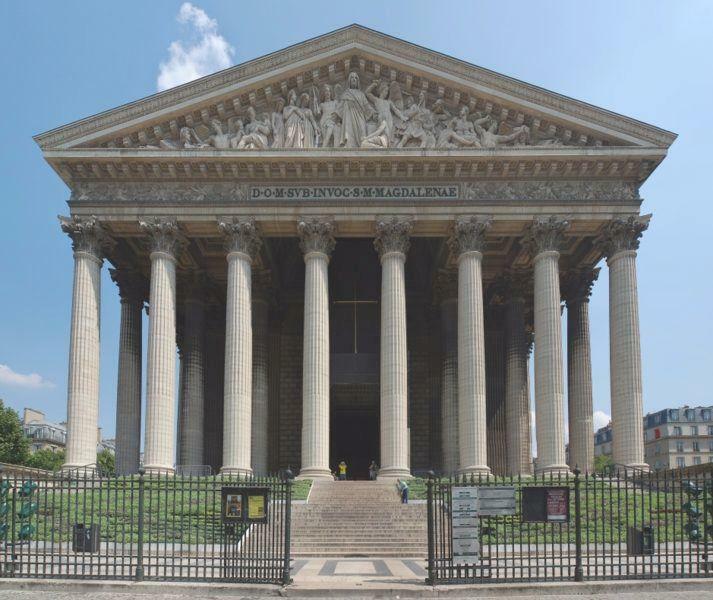 Four days later, the Church of the Madeleine, where Fauré had spent so many years as organist, was packed with people ranging from his closest colleagues to the general admirer. A grand performance of his Requiem, one of his most exquisite works, was heard and speeches were given by many, including Nadia Boulanger, who spoke these last words: "Of our admiration for you, Maitre, I need not speak here -- we must prove it. But I want to thank you one last time. . . It is sweet for us to know that when all else is over. . . your noble soul will still be here, and the memory of your boundless goodness intact. Do not your immortal works preserve their imperishably sweet flavour?" Gabriel Fauré is buried in Paris' Passy Cemetery, where Claude Debussy and Edouard Manet also rest. At this point I must forsake an author's anonimity and offer a personal vignette. I once had an ideal opportunity to "acquire" (i.e., steal) an original letter, written on Conservatoire de Paris stationery and signed by its director, Gabriel Fauré. I could not do it. The letter would never, ever have been missed by the owner, I would have retained it in safe and permanent keeping as its custodian, and I'd never, ever have profited from its appropriation by selling it. All I had to do was slip the letter into my jacket pocket and it would have been mine. That thought had entered my mind, but I just could not do it. To this very day I regret not having the letter -- but I also know that if I had taken it, I'd have regretted it even more. Sublime, subtle, delicate, profound, ecstatic, introspective, elegant, intimate, varied, inventive -- this is how Fauré's musical sensibilities are described. As Brahms was the quintessential, even the ultimate, Romantic whose music is clothed in traditional formal garb, Fauré was singular in that he combined the clarity, balance, and precision of classical form with an ardent Romantic spirit. Both composers were aware of the trends of their day, but both remained true to their own musical ideals and charted personal but steady musical courses during their years of productivity. Even in his songs, a form to which he made special contributions, rather than detailed verbal/visual images he revealed the mark of the true Impressionist by conveying a musical atmosphere. This indeed is the very essence of music: to evoke in sound what can't be expressed in words. Language seems at its poorest when it wishes to grasp and communicate human nuances and shades of feeling -- that very area in which music, especially Fauré's, is most efficient and expressive. He knew music is a language of human emotion, the expression of the inexpressible, that its vocabulary is an esperanto of emotions rather than of ideas, and can therefore express what people feel much more than what they think. Because of the passage and changes of time, Fauré's music no longer sounds as novel and daring as it was when it first appeared, but he was one of the most advanced and innovative composers of his generation, influencing many who followed him. The same can be said of Beethoven, but Fauré's music, like his personal nature, has more subtlety, with the embedded beauty of details there for those who seek them.